I found these containers at Ikea: View them HERE. I created my labels in Photoshop, printed them, cut them out and ran them through my sticker maker, the same way that I did my craft closet labels. I keep all my cookbooks in magazine holder boxes (most of them fit into these.) Some of my cookbooks will actually stand on their own and those ones I keep on the side of these file boxes. These boxes are from Ikea as well. ! 4 boxes for $2.99. View them HERE. 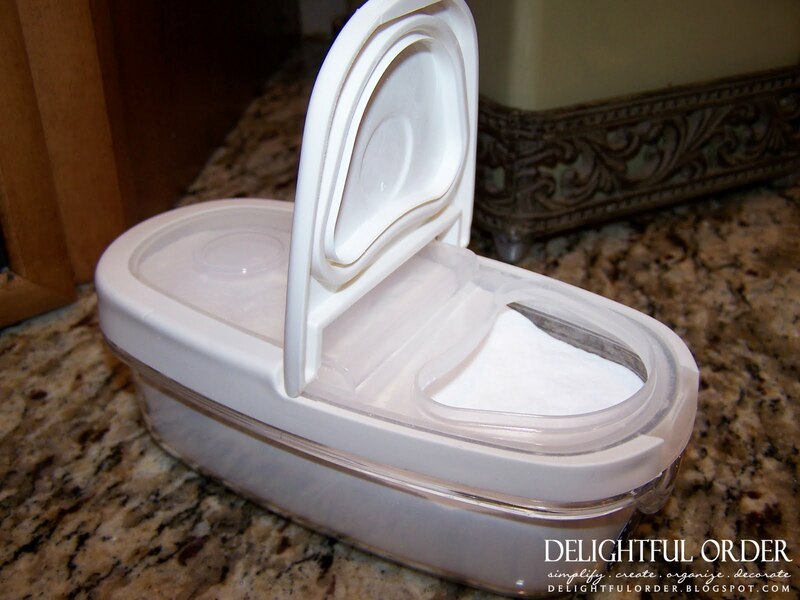 What I love about these containers is the lids open, for easy pouring. The file boxes work great! 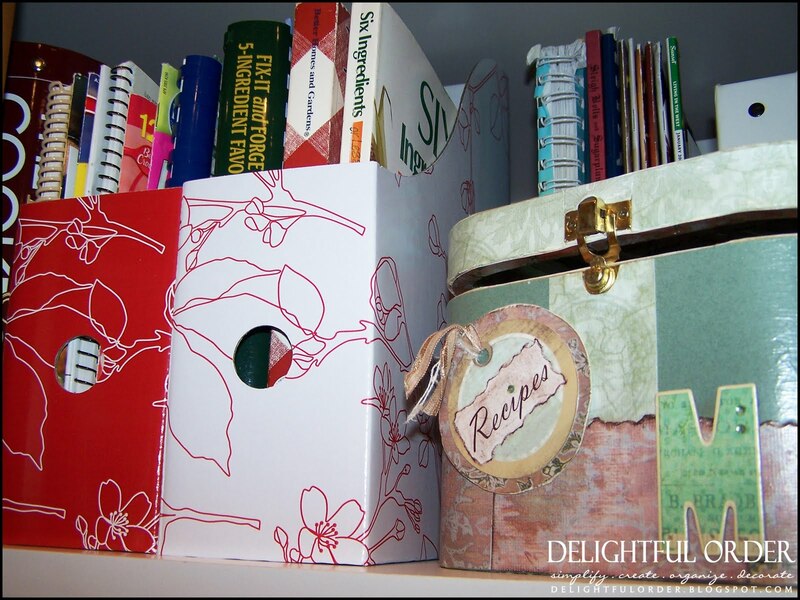 I keep my personalized recipe box of our favorite recipes in this cabinet as well. I'll show you more of that soon. and on the inside of the cabinet door I store baking spices. Yes, I know I have a lot of poppy seeds and ground cinnamon, but I refuse to throw them out, as I use them quite often. Before I started organizing my kitchen, I had all my baking spices and all my cooking spices together in my pull-out spice rack cabinet (I'll show you that soon.) It was crowded and hard to find anything, therefore I couldn't actually see how many of each item I had. That is exactly why I had to get my kitchen cabinets in order and I'm glad that I did. 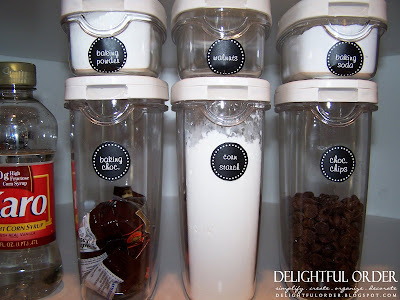 I store my flour, sugar, brown sugars, etc. in my pantry. Looks great!! Love the cookbook holders! Looks great! 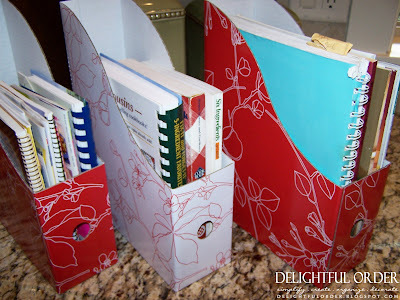 I also have cookbooks in IKEA magazine holders--they're especially great for the skinnier or spiral books huh! Looks great..I love the spice holder idea. I was originally planning on getting an over the door one..but I could use those in my pantry. Our door is hollow..so can't drill in it. I also love that they pour! I use mine for marshmallows, too! Yum!! Ikea is the best for cheap stuff like that! 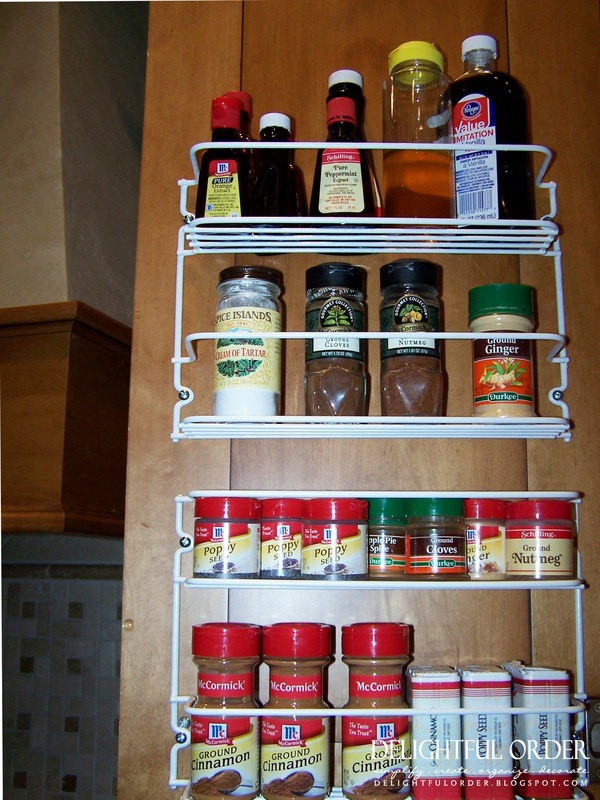 I love how you use the shelves to store your spices. We're in a new house, and I haven't come up with a good 'spice' system yet. And I'm cooking more than I did before so it's really driving me crazy! I might have to see if this will work for me. Thanks for sharing. That looks amazing! :) Love it! Your blog is so inspiring! Looks fantastic! 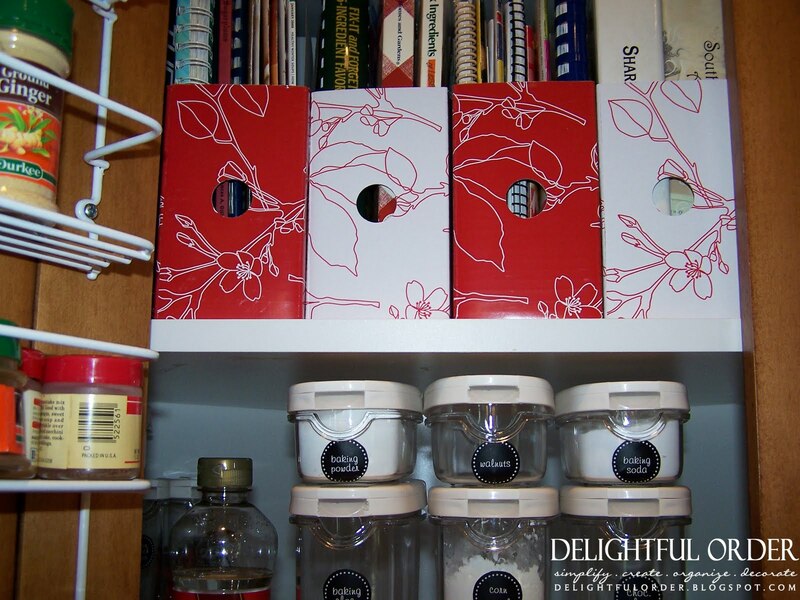 We're moving soon to a house with no pantry, and I've been wondering how to organize the cupboard space. This is so helpful! I really love the magazine holders used for cookbooks and I might have to get some of those awesome containers too. I thought I had posted this question but don't see it the next day, so will try again...must have done something wrong. Anyway, I love your blog. Nicely done and so inspiring. My question is, what do you use for scooping out your flour, oats, etc? Do you keep scoops in the cannisters? If so, what kind? I want some, I think...but have had trouble finding them. Thank you~~ I looked there too for my post, but was toggling back and forth between 3 of your posts I must have lost track! Thanks so much. I appreciate it and will check out the link. Looks great! I love you cabinet. Where did you get the racks for your baking spices. I have been looking for some like that?